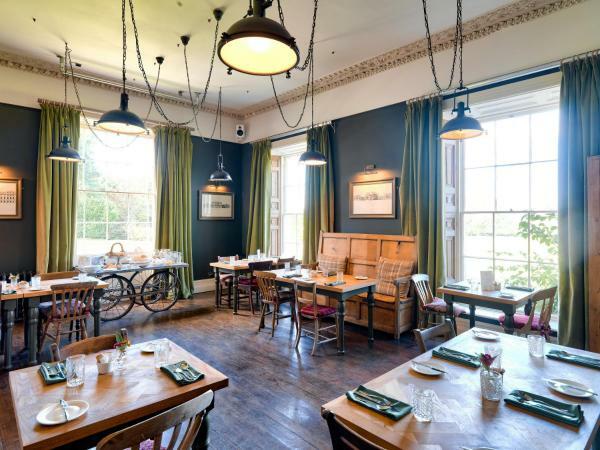 Set 6.5 miles from Bristol City Centre, Backwell House is an AA-awarded property with a 2 AA Rosette awarded restaurant. It features a terrace and views of the garden. Guests can enjoy the on-site bar. Free WiFi is available throughout the property and free private parking is available on site. My husband and I recently enjoyed a meal at Backwell House. The food was exquisite and the service excellent, I would have no hesitation in recommending this restaurant to anyone. Lovely food, very disappointing service and care. We had an afternoon tea booked for a hen do and the table was out the back in unbearable heat with all the guests left to sweat in a sweltering glass roofed room as no where else for the party to sit although when we finished the lounge area was completely empty so not sure why we couldn't have been moved there in the cool and quiet. No fans provided at first, one was found eventually but still uncomfortably hot. Drank the water that was provided, asked for more never got any so we were all really hot and were not provided with enough water and some of the food started to melt in the heat. Party in the room next door started half way through and then we couldn't really hear each other, had to keep the doors open because of the heat. A random mid point choice proved to be an absolute gem. Our friends remarked we must meet up here again despite the vagaries of distance travelling; couldn't agree more.